No matter the program or topic, the context or curriculum, relationships matter in education. Educators know this. We know that the creation of positive relationships amongst all members of the school community is a foundation for student success. We know, too, that love of learning stems from students’ forming emotional connections with knowledge; relationships born of wonder inspire and spur further learning. In Place-Based Education (PBE), the importance of relationships is taken to a whole new level. The relationships we strive to develop now centrally include the natural world. If we hope to cultivate students’ ecological understanding—an awareness of the interconnectedness of all things and a sense of care/concern for the natural world—then relationships between students and the natural world, and between students’ and the knowledge of the curriculum, must be emotionally and imaginatively rich. A defining feature of PBE is richness; practices are diverse. There is no “one-size-fits-all” approach to PBE; there simply can’t be. Unlike standardized objectives-based curricula that many consider valuable because of its “use anywhere” versatility, PBE reflects its context. Place-based educators are attuned to the different affordances or opportunities offered by local natural/cultural contexts for learning and how these relate to the curriculum. PBE in International Falls, Minnesota, will be distinct from PBE in Heidelberg, Germany, or North Vancouver, Canada. I want to honor that richness. At the same time, I want to emphasize what all PBE shares: the need to cultivate rich relationships. So rather than prescribing any particular PBE practice, I offer three guiding principles—Feeling, Activeness, Sense of Place—for maximizing the creation of all relationships and, by extension, the learning of all students. The principles are intended as reminders for all place-based educators about what is required to expand and enrich their students’ learning and, thus, facilitate the development of ecological understanding. No matter their age, our students come to us with active emotional and imaginative lives. The things our students most enjoy outside the classroom—great books, movies, video games or whatever—have features that capture their imaginations. The trick for teachers—a trick that great game-makers, movie-makers and authors have long known—is to evoke in lessons the same wonder-full features of the world. These “features” are learning tools. Whether stories, jokes, dramatic tensions, human interest angles, mysteries and puzzles, extremes and limits of reality, big ideas and conflicting theory, heroes and so on, there are distinctive features of our imaginative lives that you can use to maximize your students’ emotional relationships with knowledge. (Read more: Three Toolkits To Help Maximize Student Learning & Engagement) In Imaginative Education, these features of our imaginative and emotional lives are “cognitive tools“–they are emotional and imaginative ways human beings make meaning in the world. You can use these tools in your teaching easily—learn more, with resources and support, here. Beware! Simply being outside (playing at the playground/playing soccer) or doing things outside (taking “indoor” work outdoors/cleaning up the playground) will not necessarily help students form relationships or any profound emotional connections with nature. It is important, therefore, to try to include opportunities for what Naess (2002) calls activeness. Rather than a form of physical activity, activeness may be better characterized as “lingering in silence” or as “pause.” Our bodily engagement in the world, the attunement of our senses with our surroundings and the engagement of our sense of pattern, musicality, among other tools of the body, contributes to activeness. Activities that help students focus on the body and focus on the connection of the body to the world can support this emotional relationship. Get some more ideas about developing attentive or “body-full” learning in these Lessons For Living Attentively, or read more about this principle for imaginative and ecological teaching here. Remember to consider place-making in imaginative terms; we are imaginative and emotional beings after all. Strive to pair increased knowledge of place (for example, including knowledge of flora and fauna, geological and cultural history, etc.) with affective engagement. How? Allow students opportunities to form specific relationships with particular features of the natural world—support them in growing close—through time and familiarity—with particular natural objects or very specific places. With opportunities to see specific natural objects over the course of a year—and with your guided support—they may be increasingly aware of nuanced changes. They can grow to feel connected to these places. Places are defined by the fact that we have a relationship with them. They are meaningful because they evoke an emotional response; we feel something about them. With the hopes of educating students to understand the interconnectedness of the world, we must continue to discuss and honor the importance of relationships in education. 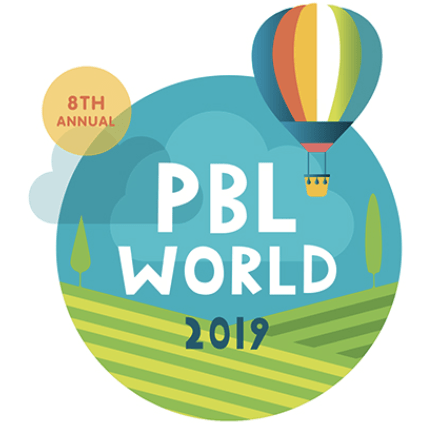 In PBE, we must also expand and enrich those relationships to include students’ emotional connections with their local natural and cultural contexts. I would welcome the opportunity to be part of that conversation! Gillian Judson is a researcher, teacher and advocate of the role of imagination in all learning. Follow her on Twitter:@perfinker. Relationship makes everything relevant. Place based Ed allows students to build relationship and make claim to nurture and care for said place. Time, large chunks of time, are critical in the development of relationship and this is only achieved through self-determined learning that may or may not be provocated by an educator or care giver. If it is meaningful and relevant true learning happens. This is, how we save the world. Gillian, I have never heard of “Place-Based Education” until now. It really values that sense of wonder our students have and combines it with the connectedness of people and places. My mind is relating this concept to music. Many of our memories are sparked by a song. Our memories and learning, in this instance, are sparked by the environment.